Please join the Riverdale Parent Book Club Friday, December 7, 2018 at 9am at the High School upstairs in the Maverick Room for a lively conversation and yummy snacks. All RGS and RHS parents are welcome! 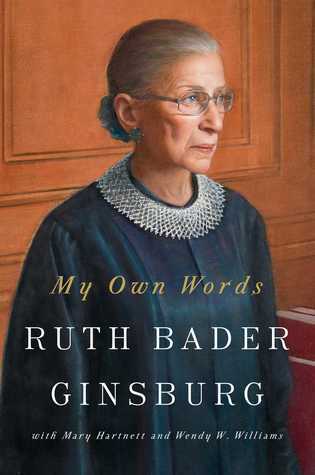 Our next book selection is My Own Words by Ruth Bader Ginsburg which is a collection of her writings and speeches about topics such as: law, being Jewish, gender equality, the work ways of the Supreme Court and the US Constitution. Please direct any questions to Danielle Anfuso.